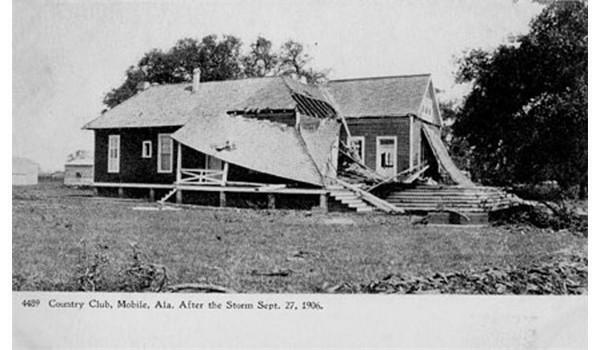 Born in the Caribbean south of Cuba, the hurricane passed into the Gulf of Mexico between Cuba and the Yucatan on Monday, September 24, 1906. Winds increased to 90 mph as the eye approached a point just west of the Mississippi-Alabama line. 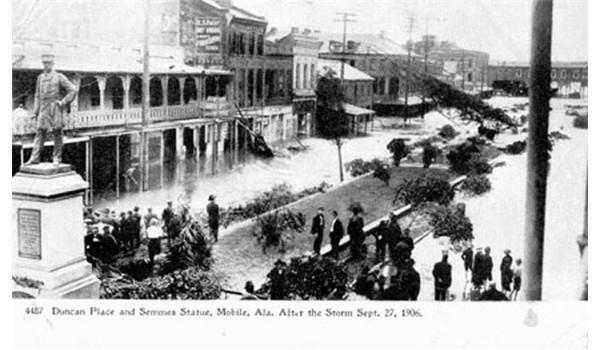 For approximately nine hours, Mobile and Pensacola took the pounding of the southwest winds of the right-front quadrant of this vast and slow-moving storm. 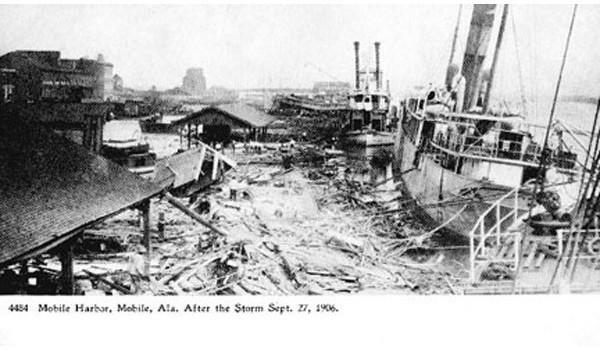 The waters of Mobile Bay, pushed by winds of such power for so long, rolled into the city and caused the most disastrous floods in its history. 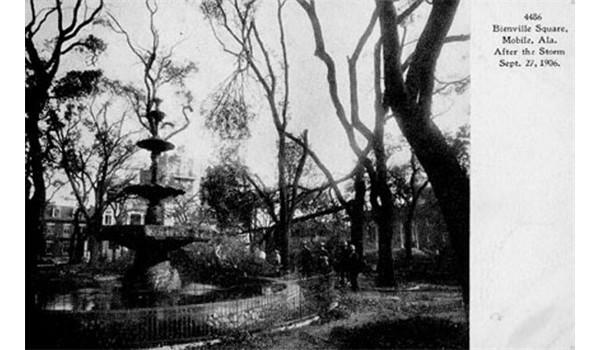 Want to order a reproduction of any of these images?